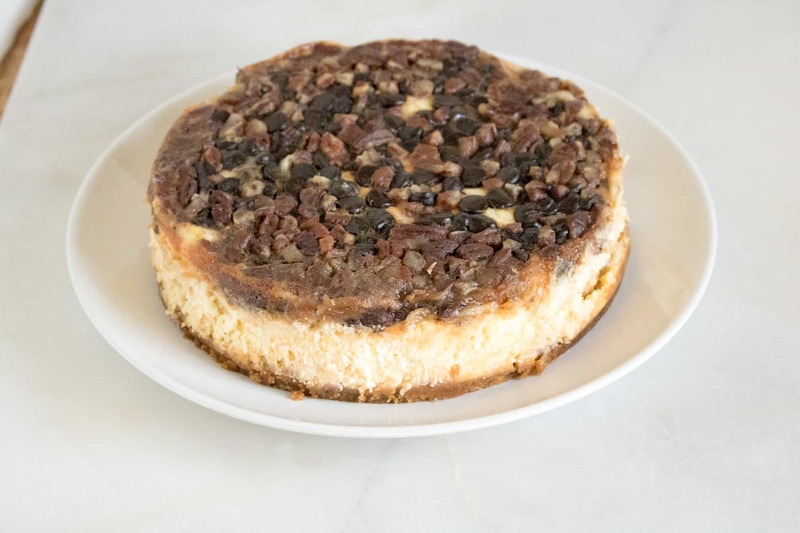 I love this recipe for Instant Pot Pecan Cheesecake with Chocolate Chips. Because when two of my favorites come together, it’s always a good thing. Like chocolate and peanut butter. Or peanut butter and bananas. Or in this case, chocolate and pecans. My favorite nut in the whole world is the pecan. I adore candied pecans, pecan pie, pecan rolls…the list is endless. And, like most of the world I have quite the love affair with chocolate as well. This recipe marries together both of my delicious favorites in one creamy, delectable and irresistible dessert. Everyone is in love with the Instant Pot as it helps you get dinner done in record time freeing you up to do other things in your life. But I don’t think many people realize the versatility of this amazing appliance. Yes! Your Instant Pot can make “baking” a snap, too! 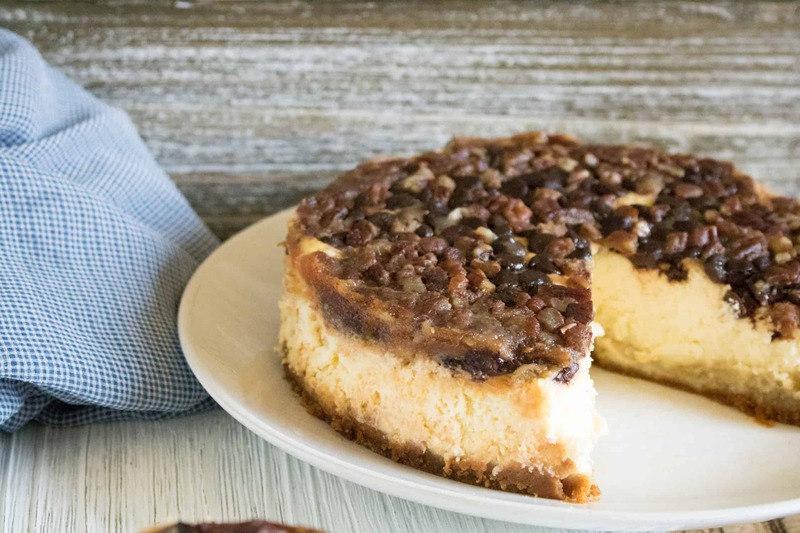 This recipe for Instant Pot Pecan Cheesecake with Chocolate Chips is the perfect example. 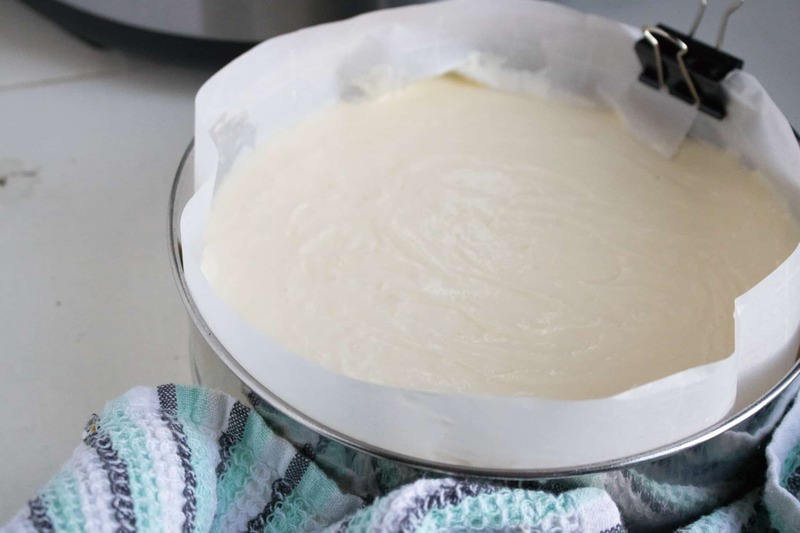 It “bakes” your cheesecake in record time so you can move on to another task. 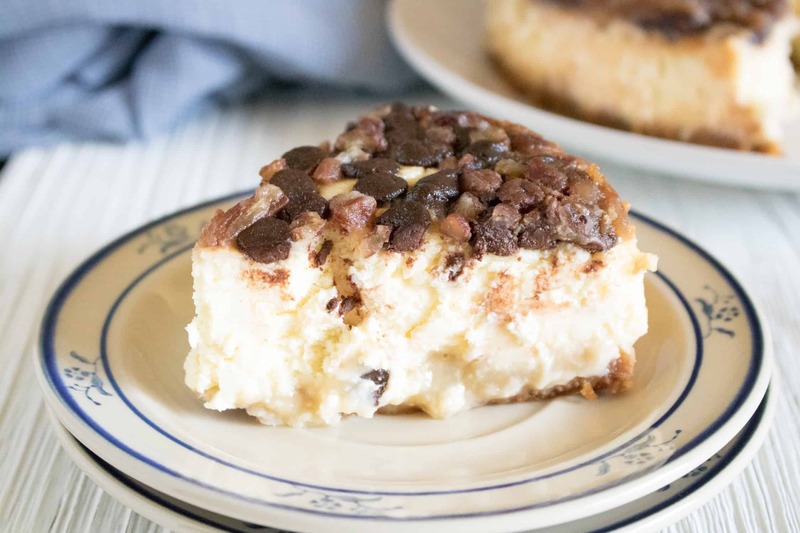 This Instant Pot Pecan Cheesecake with Chocolate Chips recipe is so versatile. I love a graham cracker crust almost as much as I love pecans and chocolate. But, some people prefer to eat their cheesecake sans crust with only the creamy deliciousness of the cheesecake and its topping. This recipe allows for that! Simply use parchment paper in place of the graham cracker crust. The holidays are upon us, and that means plenty of company, parties, and gatherings where you will need to bring a yummy side dish or dessert. This Instant Pot Pecan Cheesecake with Chocolate Chips will be a hit at all your holiday meals and gatherings. Starring another seasonal favorite flavor, this Instant Pot Pumpkin Cheesecake is unbelievably good and another dessert perfectly suited for this time of year. In the mood for something fruity and slightly exotic? Check out this Instant Pot Blackberry Cheesecake recipe. 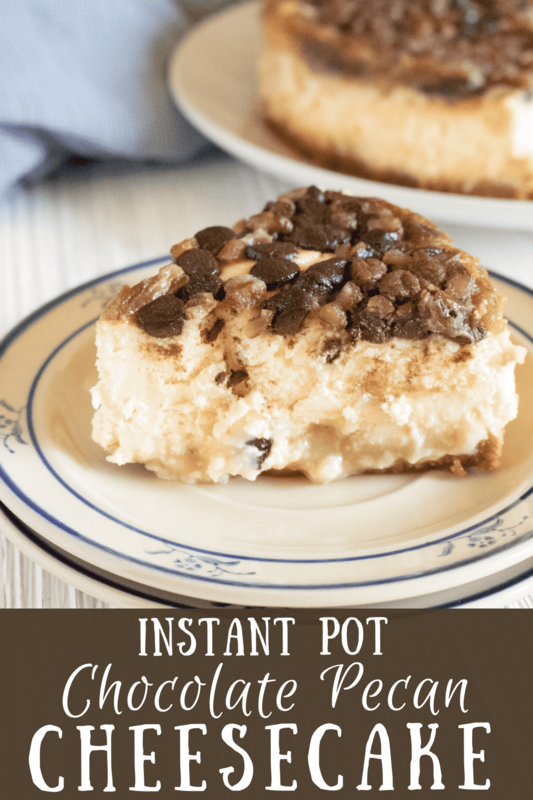 If you are also a peanut butter fan, you will love this peanut-y, creamy recipe for Instant Pot Peanut Butter Cheesecake. Step #1: Combine graham cracker crumbs with sugar and melted butter and pat down on the bottom of a 7-inch springform pan sprayed with non-stick cooking spray. Alternatively, you can use a 7-inch pan lined with parchment paper on the bottom and along the sides. 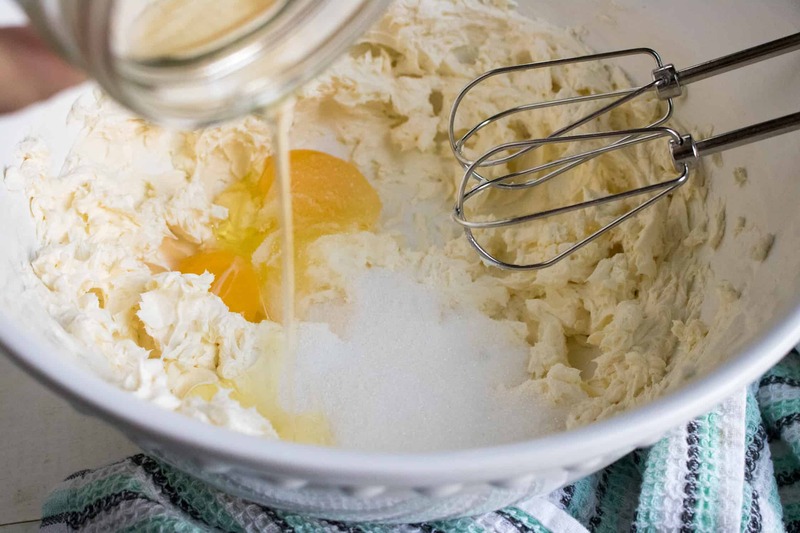 Step #3: Mix in eggs one at a time. Step #4: Mix in the vanilla extract and sour cream until smooth. Step #5: Pour into pan on top of the graham cracker crust. Step #6: Run a fork back and forth through the cheesecake several times to remove air bubbles. 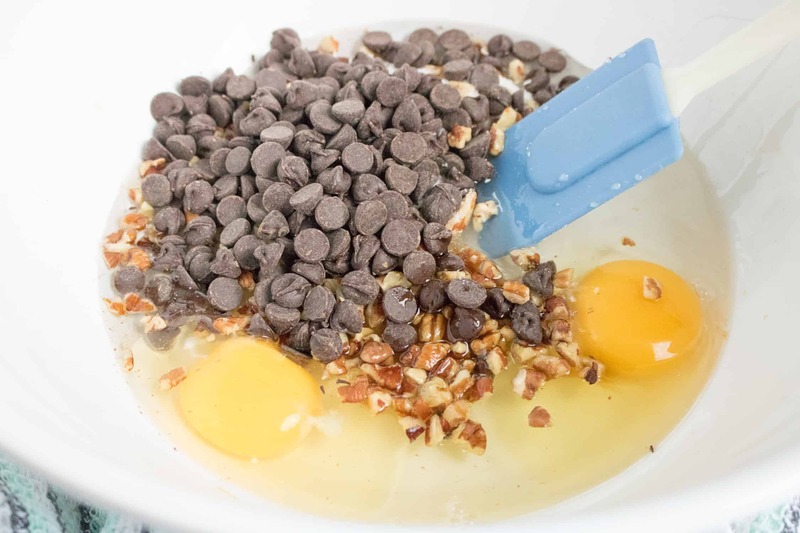 Step #7: Mix all ingredients in the chocolate pecan layer. Step #8: Pour pecan layer ingredients over cheesecake. Step #9: Cover with foil. Step #10: Pour two cups of water into the inner pot of the Instant Pot. Step #11: Make a sling out of aluminum foil to lower the pan into the Instant Pot. Step #12: Close the lid of the Instant Pot and turn to sealing. Step #13: Set for a manual high-pressure time of 35 minutes. When the time has finished, allow for a natural release for 12 minutes before letting out the rest of the steam. Step #14: Cool on the counter for an hour and then put in the refrigerator and cool for an additional 4 hours. Combine graham cracker crumbs with sugar and melted butter and pat down on the bottom of a 7-inch springform pan sprayed with non-stick cooking spray. Alternatively, you can use a 7-inch pan lined with parchment paper on the bottom and along the sides. 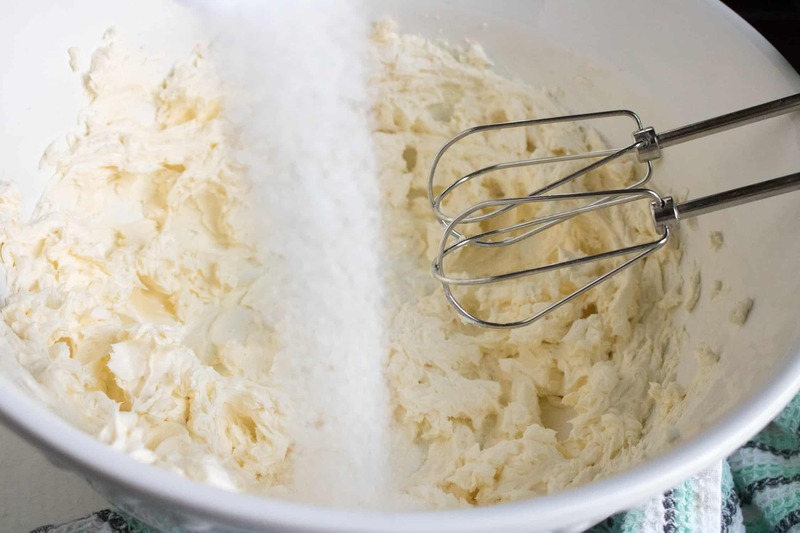 Cream together the cream cheese and sugar until smooth and then mix in the eggs one at a time. 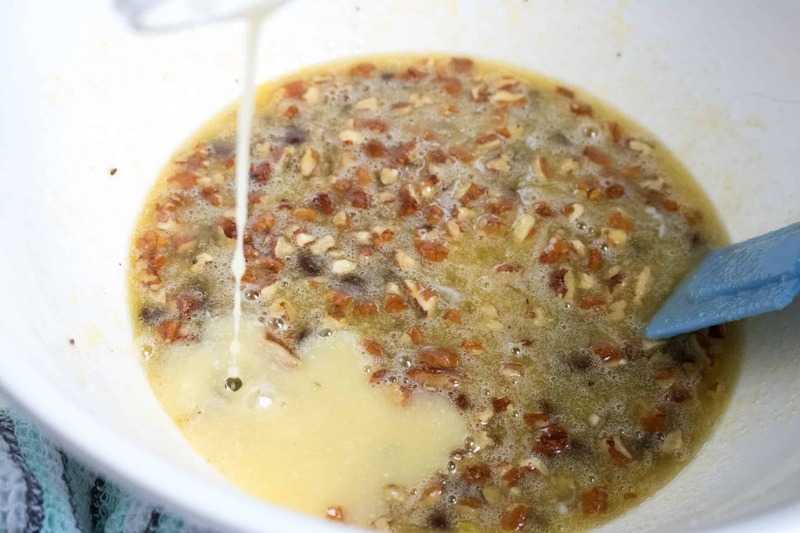 Mix in the vanilla extract and sour cream until smooth. Pour into pan on top of the graham cracker crust. Mix all ingredients in the Chocolate Pecan layer, and pour over the top of the cheesecake. 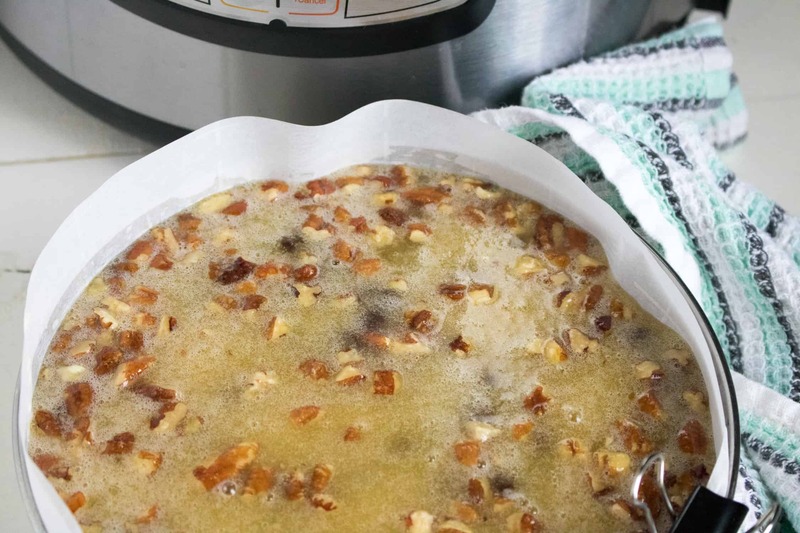 Close the lid of the Instant Pot and turn to sealing.